Want a near-life-size rendition of the demonic little devil from Child's Play 2? Then 12-inch (30cm) Chucky exclusive is for you.Based on previous Movie Maniacs sculpt but rescaled to 12 inches (30cm), Chucky is articulated at the wrists, shoulders, waist and neck. He comes with a special voodoo knife, real hair and detailed coveralls. Want a near-life-size rendition of the demonic little devil from Child's Play 2? 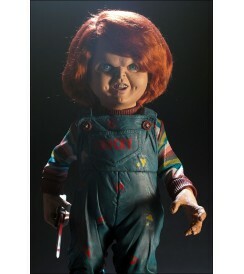 Then 12-inch (30cm) Chucky exclusive is for you. 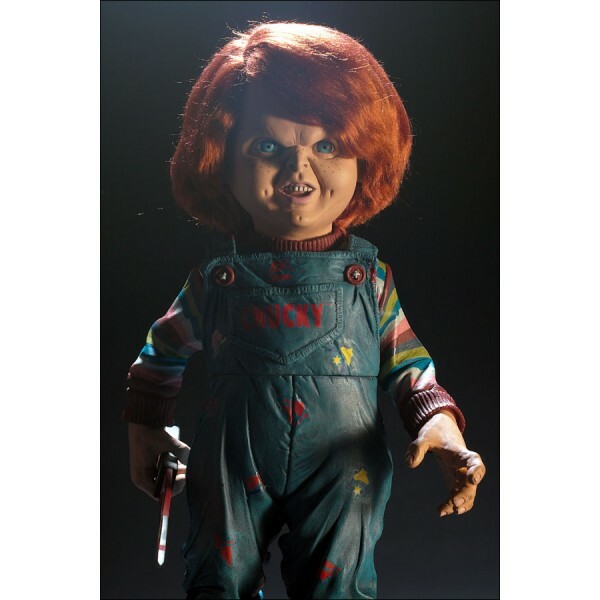 Based on previous Movie Maniacs sculpt but rescaled to 12 inches (30cm), Chucky is articulated at the wrists, shoulders, waist and neck. He comes with a special voodoo knife, real hair and detailed coveralls.